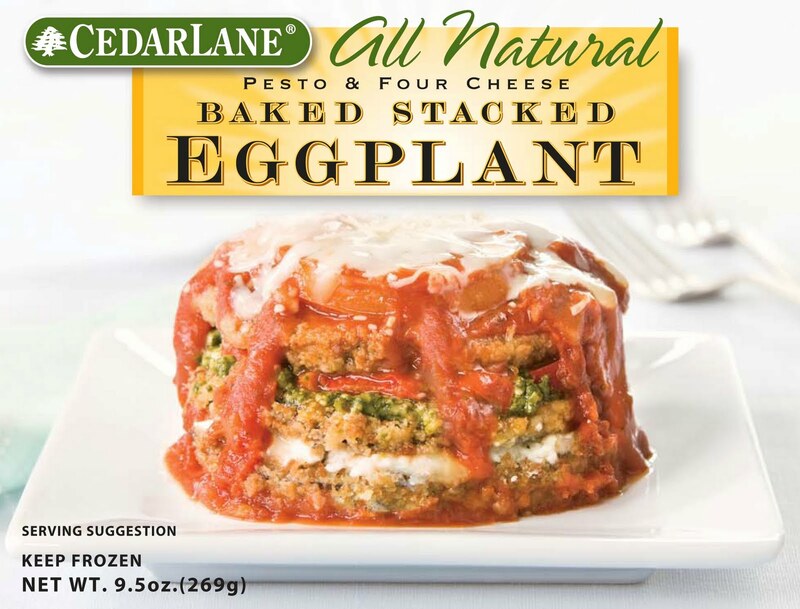 Cedarlane Natural Foods has introduced three new frozen entrees that are made with all natural ingredients. Pesto & Four Cheese Baked Stacked Eggplant features baked eggplant smothered in a creamy pesto sauce, layered with ricotta, Monterey jack, Parmesan and feta cheeses drenched in a chunky tomato sauce. Spinach and Three-Cheese Stuffed Manicotti offers Manicotti pasta shells loaded with spinach, ricotta, mozzarella, and Parmesan cheeses covered in a sweet Italian tomato sauce. Turkey Sausage & Shrimp Jambalaya is a fragrant Basmati rice tossed with spicy turkey sausage, shrimp and a medley of vegetables. Suggested retail price for the entrees is between $3.99 and $4.49. Cedarlane products are available in grocery and natural food stores, including major chains such as Whole Foods, Kroger, Safeway and Publix. TFFG Says: Cedarlane has really hit the spot with these new items. At the onset, it seems an entrée of eggplant could not possibly be filling, but this Pesto & Four Cheese Baked Stacked Eggplant really fills the bill. Not only are these products all-natural, but they are very tasty. Any of the three paired with a side salad makes for a terrific dinner.